A few years back forum posting was one of the best techniques to build high-quality links. Although it is still used to build backlinks, according to many SEO Experts this is not useful anymore. …but according to me, this is still a great strategy to not only build backlinks but to also get traffic if used properly. In this article, I am going to tell you how to do forum posting properly without spamming and not only this but I will give you high-quality forum posting sites list. How to do Forum Posting Properly? How to do Forum Posting Properly for SEO in 2019? Forum Posting plays an important role in your SEO and it gives diversity to your backlinks profile. What will be covered in this category? How to search for quality forums? How to do Forum Posting for SEO? This is the first and most important step to start with. To search for the quality of a forum or any site we must rely on third-party matrices like Moz etc. Always keep in mind, you only must do niche posting. You can type following in Google to search niche related forums. After selecting a forum do research in Moz site explorer. Only choose those forums which have DA 10+ and spam score of under 2. I know that this is not an official criterion announced by Google to check the quality of a site but Moz is a trusted site and we must rely on it. Due to huge spamming of this technique in the past few years, we must be careful as Google will penalize you if it detects any spamming activity. How to do Forum Posting for SEO in 2019? This is the final step but be careful, to avoid spamming do not just drop links. This is a very risky technique due to a huge abuse in past years so be careful (…saying repeatedly). First, carefully read the discussion and try to solve the problem. If it is not possible to solve the problem without mentioning or referring it to some great piece of content, then place a link and refer the audience to the discussion. 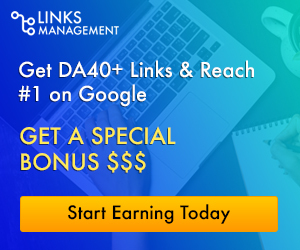 If you do so, you will not only get traffic but high-quality links. Now, I am going to provide you a quality forums list. Here I’m going to divide this list into some of the top niches. This is the list of some quality forums. I will update this list, as I find more forums. So keep visiting to stay tuned. Forum posting is one of the link building techniques and I hope after reading this article you will understand it completely. It does not matter how much links you build, the thing which matters how many quality links you build. Do not run for quantity…run for quality! Always keep this in mind and you will never fail. Do comments and let me know, what do you think and do not forget to share.